Horror Movies are already telling the story of 2017. Ever since George Romero reanimated corpses into zombies and turned them into metaphors, pop culture critics have looked at horror movies as a tool of anthropological study. What monster will key into our primal fear, and what will scare us because we project our real-world fears onto them? What scared us in 2016? What will scare us in 2017? And how do we defeat the monsters we choose to let haunt us? Looking back at 2016, a year of potent fears, our art responded with potent films. From the Nazi murderers in Green Room to the invasion thriller of 8 Cloverfield Lane, our films reflected a scarily accurate, if heightened, image of our reality. If Donald Trump’s campaign can find an overlap between their political “message” and the people who watch The Walking Dead, there has to be a truth to the pseudoscience of pop culture anthropology. In this noble pursuit, what monster will scare us the most in 2017? Let’s start with the big one. Will 2017 be the year humanity ends? With Donald Trump threatening to increase the world’s number of nuclear weapons, and Vladimir Putin (along with rogue nuclear states like North Korea) happy to play along, humanity enters 2017 with a threat of new nuclear arms race. 2017 will coincidentally deliver the latest in the rebooted Planet of the Apes series, War for the Planet of the Apes. Over the course of two films, the Planet of the Apes films have chronicled a politically charged thriller, first by showing the rise of an ape civilization (at the cost of human supremacy), and then by igniting a war between the two species, the Planet of the Apes reboot is telling the story of the extinction of the human race, hopefully not in real-time. On one end of the spectrum, fear of our bodies is a very old fear. Our bodies will fail us one day, but until then we hold onto them with an anxious grip. But as the concept of the body, and how we interact with it changes- whether its through the experimental ways we try to live longer, or in the ways we modify them with increasing ease, the definition of our bodies are changing. And that scares some of the more conservative amongst us. For some of those conservatives, the body is not meant to be tampered with. The changing of the body is a primal fear, the complexity of it’s form has terrified some into outlawing bodies they choose to not accept from bathrooms or government offices. 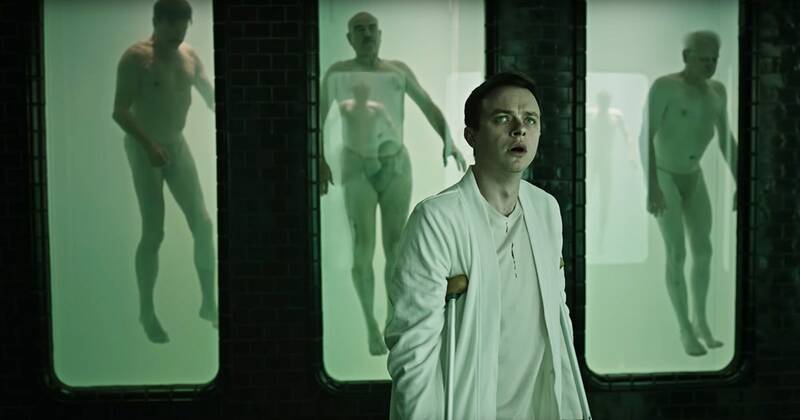 The invasion of the privacy of the body will have a big year with two blockbuster horror films: Gore Verbinski’s mental asylum psycho-thriller A Cure For Wellness, and Ridley Scott’s Alien: Covenant - a series that helped define the modern body-horror. Both films will explore the invasion and manipulation of the body. And as conservatives reel from the changing and morphing bodies, and subsequently try and force rigid rules of the uses of bodies, it’s interesting to see that two blockbuster films will be scaring audiences with their tales of body desecration. Sentient robots are fast approaching. The technology is emerging where both AI and the mechanical bodies to host them are quickly becoming accessible, but more importantly, the corporate desire for them is rapidly accelerating. Pop-culture has already completed a full cycle of robot fiction, introducing them as monsters in films like Terminator, before making them sympathetic in films like Ex Machina and TV shows like Westworld. But as the threat of machines taking over jobs, and the advancements in AI and Robot Learning grow, the cycle looks to begin anew with Blade Runner 2049. The mysterious sequel to Ridley Scott’s sci-fi masterpiece, Blade Runner 2049 will no doubt allow viewers to ponder the nature of machines, especially now when they are far more real to us than when audiences saw the first Blade Runner in theaters back in 1982. 2016 was a bad year, maybe even an unusually bad year. It’s the kind of year that defied logic to the point where its absurdity became a meme. It’s the kind of year, so rife with tragedy, natural disasters, humanitarian crises, and disturbances to the natural order, that in a bygone era it would be evidence of a kind of curse. 2016 was a year so terrible that people began fearing the supernatural and the occult all over again. In the olden times, these kinds of seismic tragedies were explained away by attributing it to devils and gods, 2017 could be the same, bringing films like Stephen King’s It and Annabelle 2 along with it. With so much talk from both sides of the political aisle, as well as abroad, about whether or not the traditional safeguards to government and society are failing, The Belko Experiment could be the kind of Purge for the year 2017. Filmed from a script written by Guardians of the Galaxy’s James Gunn, and directed by horror filmmaker Greg McLean (Wolf Creek), The Belko Experiment is the kind of politically charged horror film which could deliver pulp fiction’s ability to critique and comment on contemporary society through the heightened lens of fiction. Look. Before accusations of anti-white sentiment begin getting thrown around, please understand discussions about race are at the forefront of the socio-economic-political conversation. The question isn’t whether or not white people should be hated, but whether or not they could be feared. Comedian Jordan Peele has decided to tackle that question head-on in 2017 with his defiant horror film, Get Out, in which an African-American man visits his white girlfriend’s family, only discover that black people in the neighborhood have been disappearing. If talking about race makes you uncomfortable, then I got some bad news for you about 2017.